The Brooklyn band consisting of Zachary Barnett, James Adam Shelley, Matt Sanchez, and Dave Rublin formed in 2012. As the name suggests, this quartet writes stories through their music to share their struggles, high and lows, and changes. Here are some industry leading presale databases we recommend you use if you're in need of a American Authors presale password to buy early tickets to see American Authors performing live. Getting your tickets early is a great way to get great seating and secure your tickets before they sell out during the public onsale. 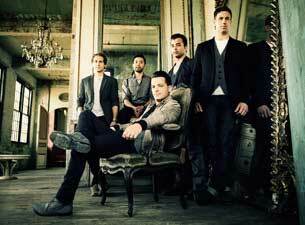 Premium Box Seats: SirusXm The Pulse Presents The Mighty O.A.R.